FUN – Nothing compares to the thrill of riding a wave. 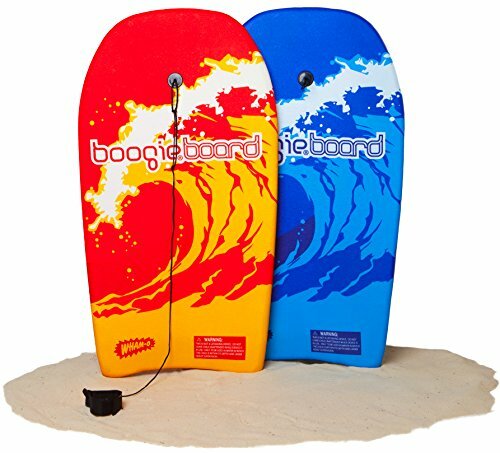 Boogie® Board bodyboards are ready for hours of fun at the beach, pool or waterpark. Choose a super cool graphics design to express yourself and unique style. DYNAMIC DESIGN – These Phuzion core bodyboards are designed with a Crescent tail that helps lock the body into position for superior bodyboard control; giving the board excellent control and more maneuverability. 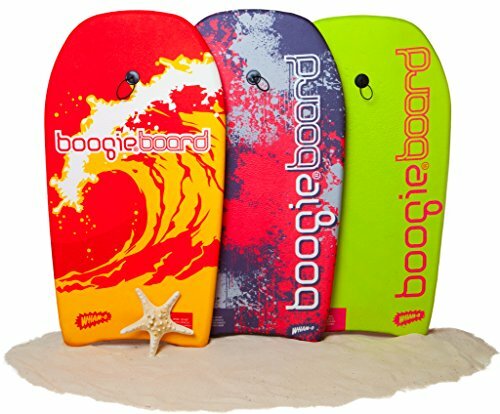 DURABLE CONSTRUCTION – Fiberclad deck, bottom, and Phuzion core makes this Boogie Board amazingly lightweight at only 13 ounces, yet durable, and buoyant. It’s ready for as many wipeouts as you can handle. 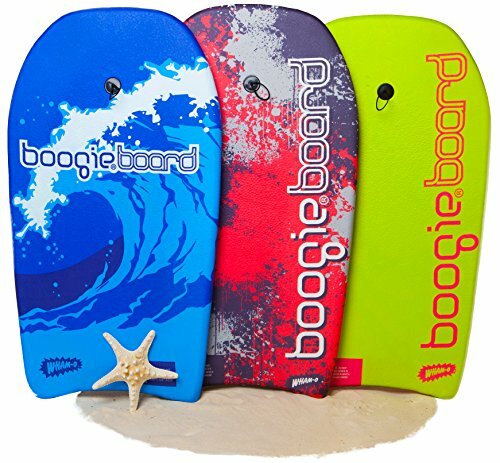 Boogie® Board bodyboards are designed for the smaller to medium size beginner who wants to experience the thrill of bodyboarding for the first time. 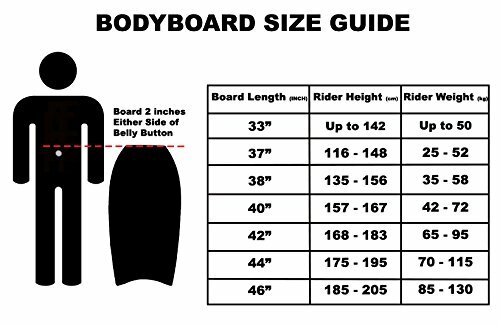 Boogie® Board bodyboard are 33 inches long, weighs only 13 ounces and is 2 inch thick. Boogie® Boards robust and lightweight Phuzion core makes it both durable and agile enough to do tricks at the waterpark or enjoy hours of fun at the beach. 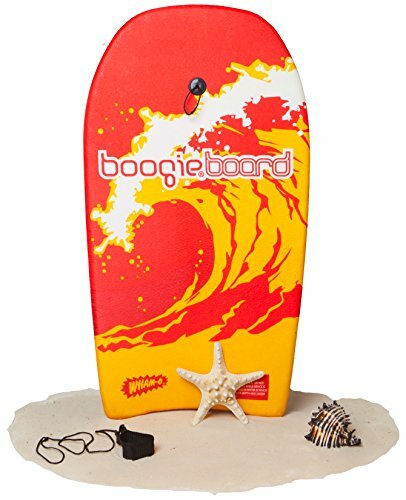 Whether riding waves or doing tricks, Boogie® Board Body Board was built for fun right out the box. It comes with a detachable wrist leash, is recommended for ages 2 and up or adult riders less than 62″ in height & under 100 lbs in weight. Let’s hit the beach and see what you got! COMES WITH A LEASH & PLUG & USER INSTRUCTIONS – This board doesn’t require any modification; it’s ready to ride out of the box. 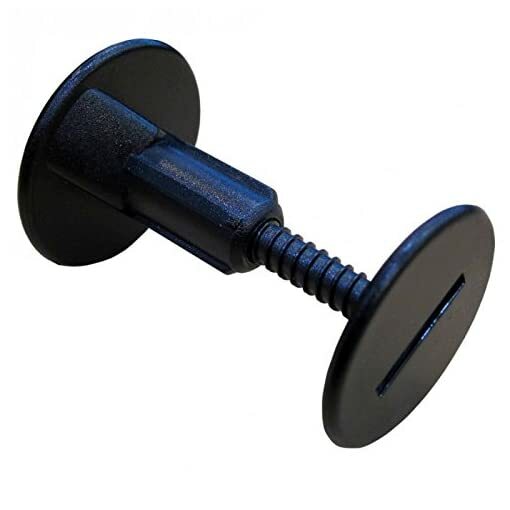 Built-in detachable nylon wrist leash to keep board secured to you through any wipeout. 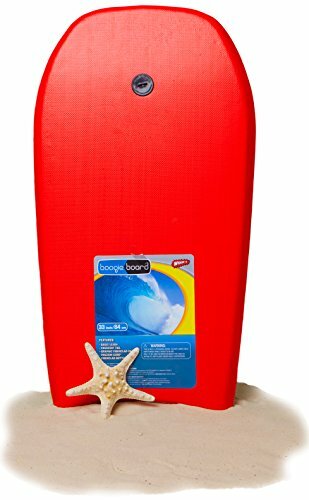 IDEAL BOARD FOR BEGINNERS – At 33-inches and weighing in at only 13 ounces, these lightweight bodyboards are designed for the beginner who wants to experience the thrill of bodyboarding for the first time. 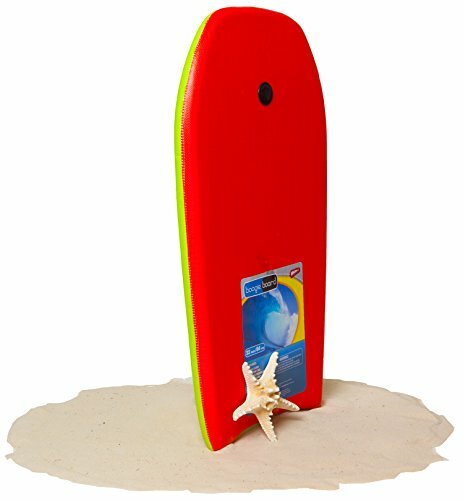 Boogie Boards can be used as a float in pools, doing tricks on the waves at a waterpark and of course riding the power pocket of a wave at the beach or whatever else you can imagine. Recommended for kids ages 2 and up or adult riders less than 56″ in height & under 110 lbs in weight.